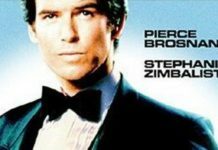 Hawaii Five-O TV Series season episodes on DVD and video. Hawaii Five-O (Hawaii 5-0) is an American television series that starred actor Jack Lord as a police detective who worked for a fictional Hawaii state police department. The Hawaii Five-O TV Series ran on the CBS television network for a total of 12 seasons, from 1968 to 1980. The last season was repackaged into syndication and ran under the title McGarrett. Currently, the program is broadcast in syndication throughout the world and is available via on-demand streaming media through CBS Interactive. 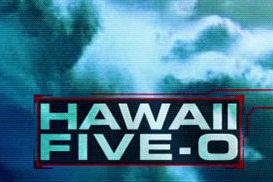 The series is created by Leonard Freeman, Hawaii Five-O was shot on location in Honolulu, Hawaii, and throughout the island of Oahu, with occasional filming in other locations such as Los Angeles, Singapore and Hong Kong as well as other Hawaiian islands. The Hawaii Five-O TV show centers on a fictional state police force (named in honor of Hawaii’s status as the 50th State) led by former Navy officer Steve McGarrett (played by actor Jack Lord), who was appointed by the Governor Paul Jameson (Richard Denning). McGarrett was assisted regularly by State Police officers — a young officer, Danny Williams (played by Tim O’Kelley in the show’s pilot, but replaced in the regular series by James MacArthur), Chin Ho Kelly (Kam Fong) and Kono Kalakaua (Zulu). 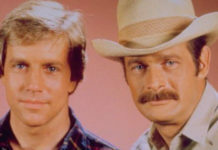 Later, Honolulu Police Department Officer Duke Lukela (Herman Wedemeyer) joined the team as a regular, as did Ben Kokua (Al Harrington) who replaced Kono. Occasionally, they were assisted by other officers on an “as-needed” basis. During the course of the Hawaii 50 TV show, the team was also assisted regularly by: medical examiner Doc Bergman (Al Eben), forensic specialist Che Fong (Harry Endo) and a secretary. The first secretary was May (Maggi Parker), then Jenny (Peggy Ryan) and later Luana (Laura Sode-Matteson). 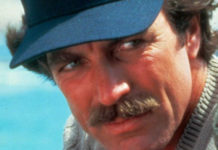 Most episodes of Hawaii Five-O ended with the arrest of criminals and with McGarrett’s catch phrase to Williams, “Book ’em, Danno!”, with the criminal offense occasionally added after this phrase, such as “-Murder one!”. 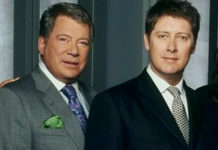 The show ran for a total of twelve seasons, all of which are available on DVD and video from Amazon.com. The Complete First Season on DVD – Features all episodes from season 1 on a seven-disc set. Includes the two-hour pilot episode. Includes a bonus feature retrospective on the show. The Second Season on DVD (1968) – Contains 24 episodes on a five-disc box set. Includes previous-week promos for each episode, but no other bonus features. The Third Season on DVD (1968) – Includes 24 episodes from season 3 on a six-disc box set. Bonus features include previous week promos for each episode. The Fourth Season – Features 24 digitally remastered episodes from season 4. The show’s theme song was an instrumental composed by Morton Stevens and was recorded by a group named The Ventures. It managed to reach the number four spot on the Billboard Top 100. The song has been covered and re-recorded with lyrics by Don Ho and Sammy Davis Jr. Please note that this page refers to the original series. For more detailed information, visit the show’s Wikipedia page at https://en.wikipedia.org/wiki/Hawaii_Five-O. Also, check out other Police Crime Dramas on DVD.